Reservations recommended, call 575-754-1700 to book a ride. We have rides leaving the stables daily at 9:00, 10:30, 1:00, 2:30 and 4 p.m. This is our most popular ride. The trail climbs 400+ feet offering beautiful vistas of Red River, Bittercreek Canyon and the ski area. Good for all levels of experience. Price: $50 per horse (all prices include tax) Cash or personal check only. Leaving the stables at 9:30 am, 1:30 pm & 4:00 pm this ride is great for intermediate as well as expert riders. Leaving the stables at 8:30 am or 1:00 pm the Goose Creek Trail is a great ride for intermediate to advanced riders. 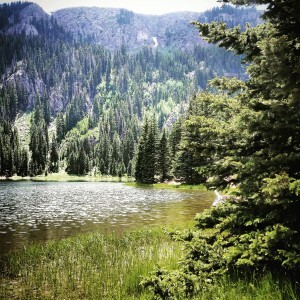 Leaving the stables at 8:00 am or 1:00 pm ride to Middle Fork Lake and enjoy the scenery at a remote high mountain lake. Beginners to intermediate riders. 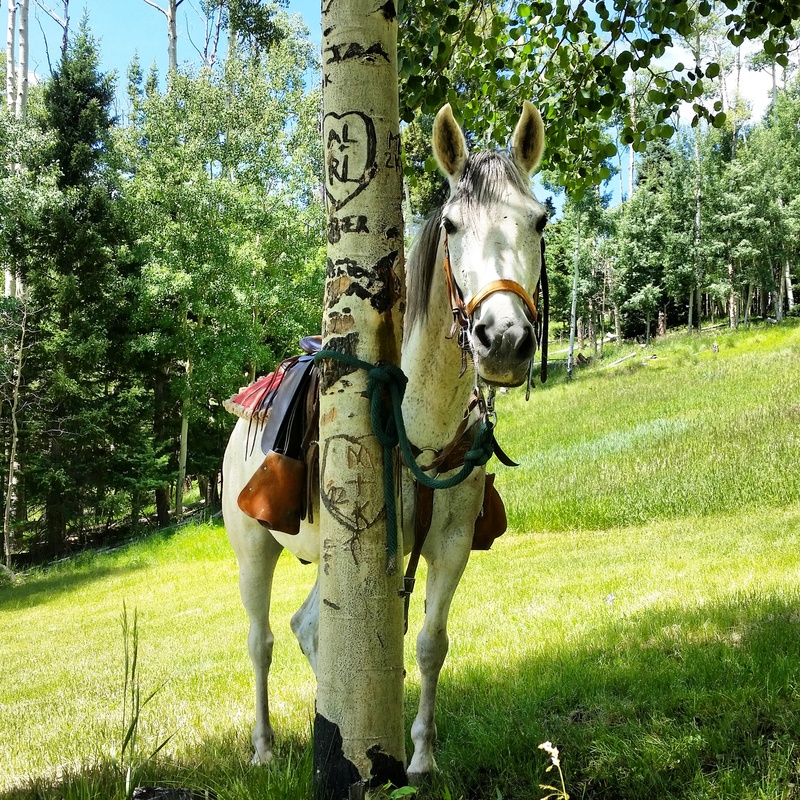 Leaving the stables at 10:00 am, ride on nice, wide trails up to the Tip Restaurant and enjoy a bite to eat on the deck while gazing at some of the most spectacular scenery New Mexico has to offer! Recommended for intermediate to advanced riders. *Price for ride only, you are responsible for your meal. Leaving the stables at 8:00 am ride to the highest peak in New Mexico – 13,161′. All you can say about this adventure is – UNBELIEVEABLE! 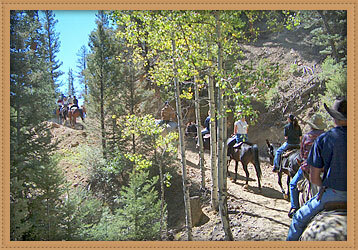 Private Rides – (your group only) can be scheduled for an additional $10/hour/horse. NOTE: No doubles on any multi-hour ride – doubles only on the 1 hour tour. 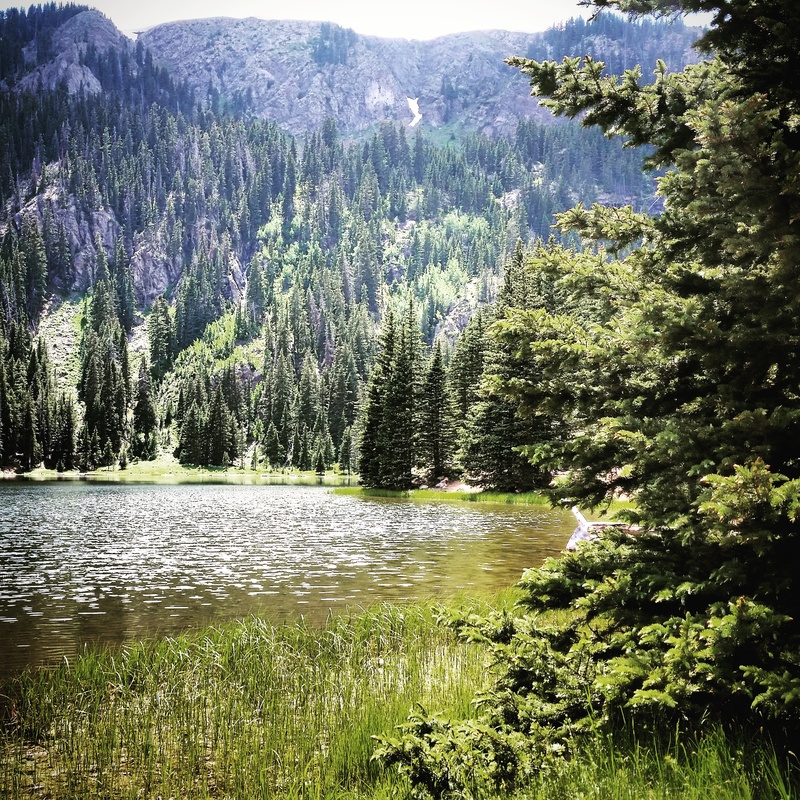 * If Carson National Forest should close, all of our multi-hour rides will be taken on private land. In the event this happens, please call Red River Stables at 575-754-1700 for details. Offered on the beautiful Comanche Creek Ranch in Elizabethtown, NM (located between Red River and Eagle Nest, NM).